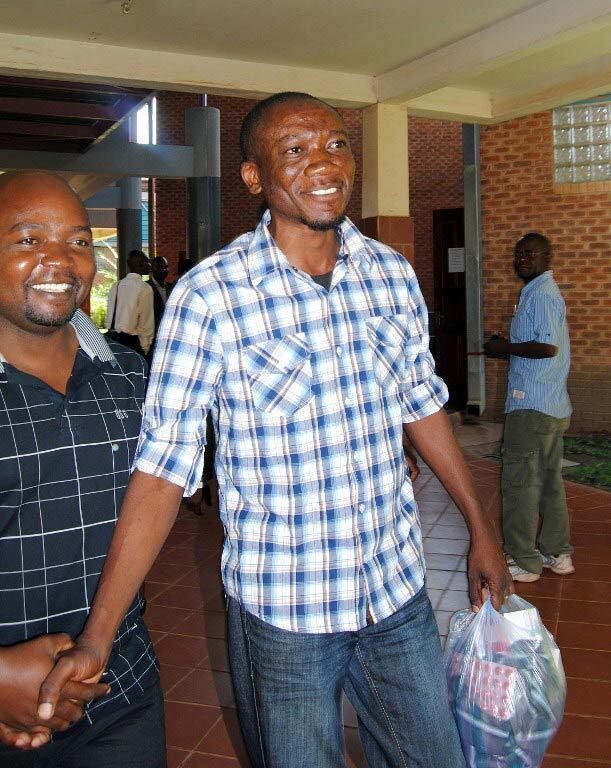 James Mwape (20) and Philip Mubiana (21), from the northern town of Kapiri Mposhi, are understood to have been living together for some time, according to Zambia News and Information Services (Zanis). The couple are due to appear in court on Wednesday. Last month, activist Paul Kasonkomona was arrested minutes after a live TV appearance in which he said homosexuality should no longer be outlawed. Homosexuality is illegal in 37 African countries. In Zambia 98% of the population disapprove of homosexual behaviour, according to a 2010 survey, and newspaper headlines such as “cage homos” are commonplace. David Smith for the Guardian Africa Network.